This documentary will mark Sato�s first time as a documentary character and will feature his trip to Verona and Venice, Italy for his upcoming stage debut for �Romeo and Juliet". This stage play will open their curtains in Tokyo on April 29th at Akasaka ACT Theater and run until the final performance on May 27th. This film will also capture Sato�s challenge on medieval dance and fencing in Italy. He will also visit his alma mater in his hometown (Saitama Prefecture) and will look back at his high school days during when he was scouted to the entertainment industry. The documentary will also show scenes with his cat as well. 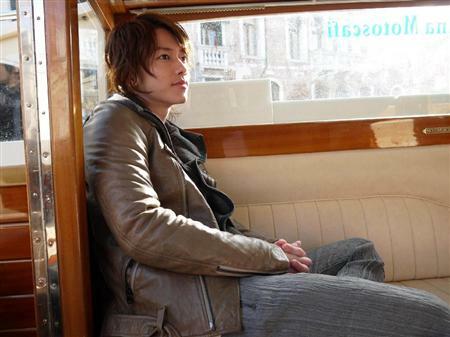 Regarding this film, Sato stated, �Being able to go to Verona became a part of large existence in me. It�s rare for me to actually show myself on the screen so I would be happy if people would be able to know more of me through this documentary." �Hadaka ni Shitai Otoko �Sato Takeru�� will be broadcasted on April 7th on Saturday at 10:30 P.M. JST.